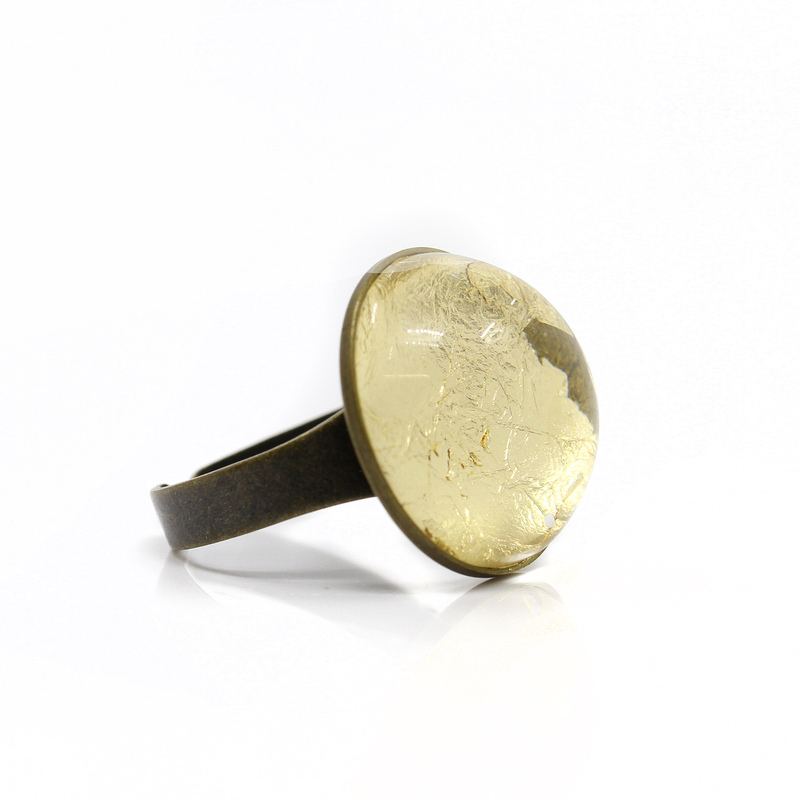 Sealed under a crystal clear glass dome this is a beautiful, handmade metallic gold foil ring. It fits snugly in a 20mm Antique Bronze bezel setting and rests on a adjustable band. It will add a touch of elegance and charm to any outfit . Delicate and light, a perfect and affordable gift for any age.